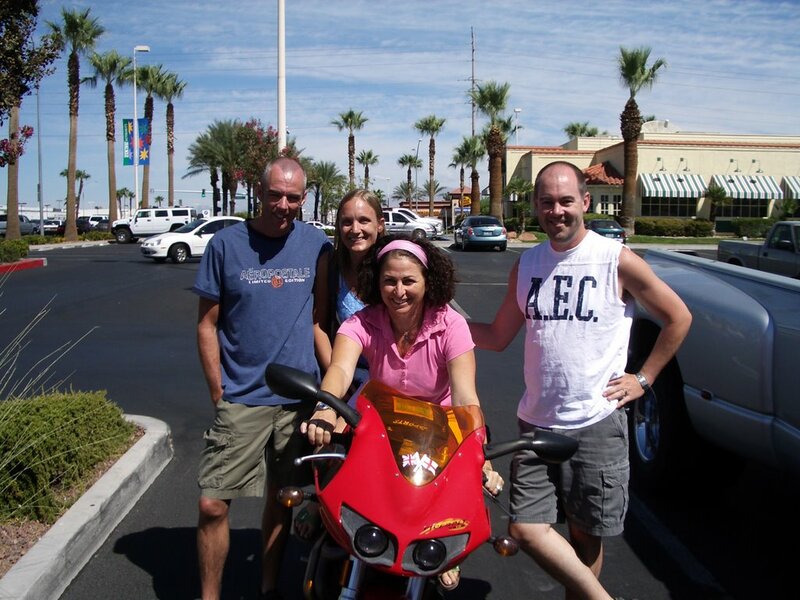 Helen & Chris Road Trip USA: A Surprise for Tess & Steve!! So Tess and Steve arrived in Las Vegas late last night from Cyprus. Little did they know we were in town (I haven't been able to update this blog for the last week in case she read about our whereabouts!!). With the help of Janet and Larrie (Steve's folks - thanks guys!) we arranged to meet this morning at the local Einsteins Bros Bagel shop for breakfast!! I just love surprises!!!! !